Analysts at Citi have responded to James Hardie Industries’ (ASX: JHX) below expectations third-quarter performance by downgrading its profit forecast for fiscal 2017 and lowering its price target from $20.30 to $19.90, while maintaining a neutral recommendation. James Hardie’s shares were sold down from the previous day’s close of $20.85 to $19.94 on Friday after management cited operational inefficiencies as one of the issues behind its underperformance in the third quarter, as well as being the underlying reason why profit guidance for the full year had to be lowered from between US$250 million and US$270 million to a range between US$245 million and US$255 million. However, the other negative commentary that came through in management’s revised outlook statement was its cautious take on US housing activity which it views as uncertain. Citi is concerned about the timing of these issues, with the broker expecting that James Hardie may to some extent miss what would appear to be an uptick in the US housing cycle. The broker said, “Whilst JHX’s favourable exposure to the US housing cycle remains, management are self admittedly early in the process in rebuilding organisational manufacturing capability, and with a materially higher than usual capital expenditure profile in fiscal years 2018 to 2019 it poses the risk that the company could miss out on leverage in what will be the key growth years of the US housing cycle”. Will investors shift to Boral? James Hardie has been the market darling of the building materials sector over the last 12 months with most investors attracted to its strong position in the fibre cement market, as well as its leverage to the US housing market where Boral (ASX: BLD) is the only other ASX-listed company with a significant presence. 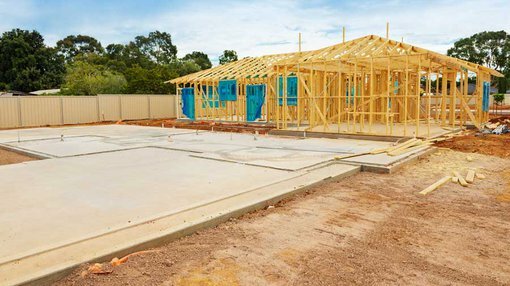 While Boral shares came off slightly on Friday, perhaps in reaction to the James Hardie sell-off which occurred under near-record 12-month volumes, sentiment could change. If Citi is correct in its assumptions regarding a substantial increase in building activity in the US, Boral would benefit from this dynamic. Given that there isn’t evidence that the group is encountering the same internal challenges as those faced by James Hardie, there is the possibility that it will come back into favour. Boral’s 12-month consensus price target is $6.35, implying a 12% premium to Friday’s closing price of $5.66.